We’ve Seen Less Than One Percent of Mars. NASA's New Lander Is Going To Change That. NASA is just a few months away from the May 2018 launch of their Interior Exploration using Seismic Investigations, Geodesy and Heat Transport (InSight) Mars lander. Once it touches down on the Red Planet in November, the craft is expected to provide NASA with highly desired information on Mars’s inner workings. Previous investigations into Mars have led to some remarkable discoveries, including exposed water ice and violent snowstorms, but to date, we’ve explored very little of our neighbor. The InSight mission aims to change that. According to the InSight mission overview, the lander will study the size, thickness, density, and overall structure of Mars’s core, mantle, and crust. It will also measure the rate at which heat escapes the planet. 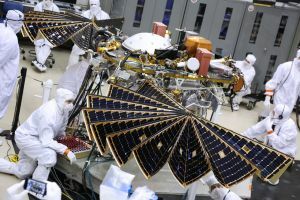 A solar array will ensure InSight collects and stores enough solar energy to power its many instruments, some of which Bruce Banerdt, the mission’s principal investigator, detailed in a NASA news release. InSight’s objectives don’t end there. Recent studies have found evidence of water near the planet’s equator and potentially trapped in rocks. InSight has been tasked with locating ice and confirming whether or not liquid water flows beneath Mars’s surface. Any new information regarding water on Mars will be invaluable to attempts to establish habitats or colonize the planet. Beyond teaching us about Mars, the InSight mission is expected to help us better understand how our own planet formed. Unlike Venus, Mercury, or the Moon, Mars is large enough to have undergone the same processes that shaped the Earth’s formation nearly 4 billion years ago, but small enough to still show signs of those processes. 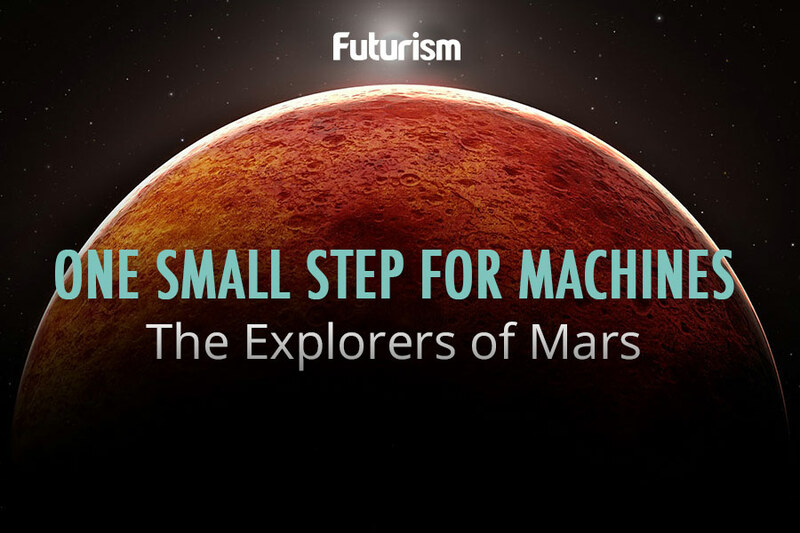 By exploring Mars with InSight, we’ll learn more about our planet’s past and how to prepare for our species’ off-world future.